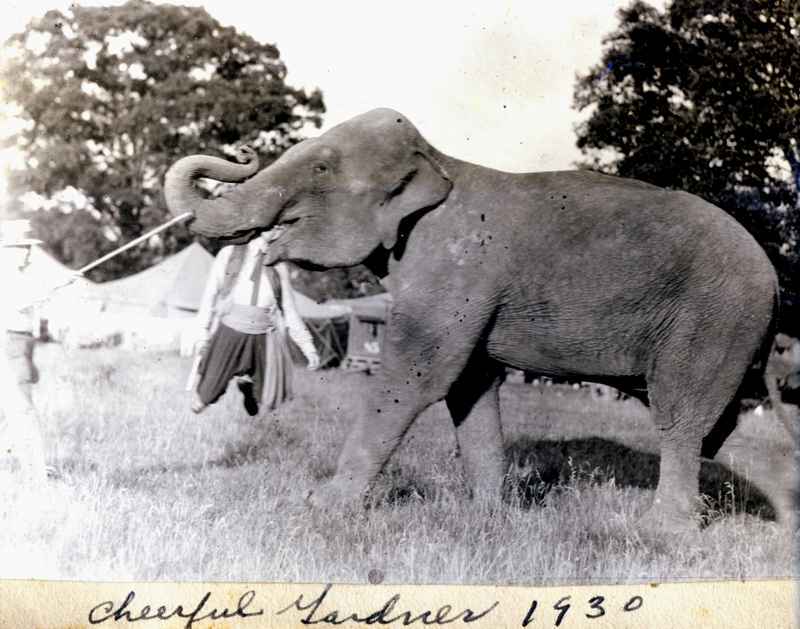 Cheerful Gardner was regarded by his contemporaries as one of the best elephant trainers in the country. 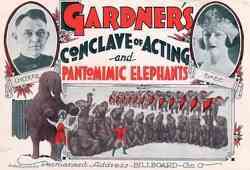 Many of the country's leading elephant handlers of the 20th century trained under Gardner's guidance. Frank was born in Janesville, Wisconsin He was nicknamed "Cheerful" because deadpan expression. 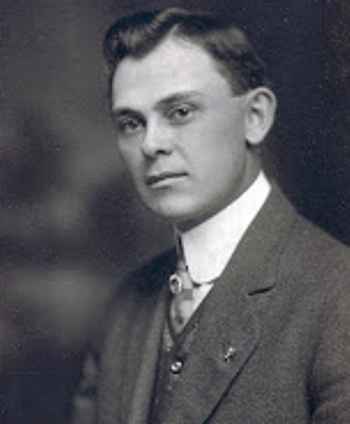 In 1907 he went to work for Ben Wallace when Mr. Wallace bought out the Carl Hagenbach exhibit and promptly started the legendary Hagenbeck and Wallace Circus. He had the Herds over the years on Sun Bros. Circus in 1910 and Cole Bros. World Toured Circus in 1918. By 1923 he had taken over the John Robinson Circus herd and then in 1925 for whatever reason, the John Robinson herd and the Hagenbeck-Wallace herds traded places. He had become a legendary herd boss and trainer known for his swinging pendulum head carry. From 1925 to 1934 he held the entire Hagenbeck-Wallace herd in his control with as many as 29 elephants in 1934. He remained with the elephants under Ringling's ownership until 1943 and continued throughout the rest of his career on various shows.